Ten years ago, my sister-in-law, Lisa, invited me to come for a run with her. She was training for a marathon and I had never run a step in my life! Fast forward to today ... I have run 8 marathons, 10 half-marathons, and countless miles in between! It became a true passion of mine. Two weeks ago, I received a text from this same amazing and inspiring lady inviting me to ride the Pan Mass Challenge this summer. Within two seconds, I replied with an excited, YES!!!! Thank you, Lisa. I am so grateful for the time we will spend together training. I am so proud to be taking part in such an amazing weekend long ride that will raise thousands of dollars for such an important cause. I'm a proud supporter of the PMC because it is leading a charge to BEAT CANCER. 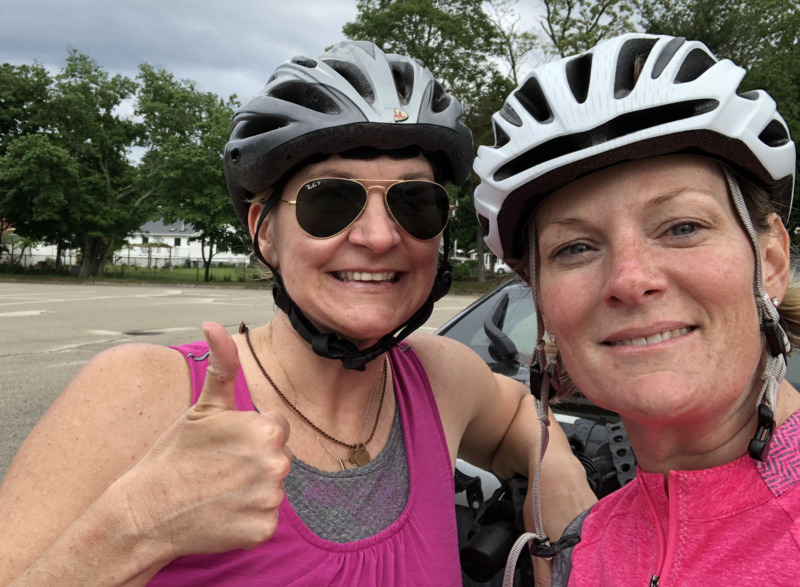 100% of rider-raised revenue goes directly to support the Jimmy Fund and Dana-Farber Cancer Institute's tireless commitment to finding a cure.